People have been warned about the risk of rabies from illegally imported puppies being offered for sale in the run up to Christmas. A puppy found to have been brought in against the rules could result in a £1,000 quarantine bill. In some cases it may have to be repatriated to the country it came from, or destroyed. In a recent case, a puppy advertised for sale online was bought by an unsuspecting buyer. But when the buyer turned up in a Mid Ulster car park to collect it, the seller had a van full of puppies for sale. After examination by a vet it emerged that the dog had been illegally imported from outside the UK, had not been properly vaccinated and was much younger than the 15 weeks stated. There is an ongoing illegal trade in puppies imported from eastern Europe. 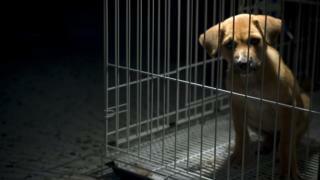 Experts have warned that rabies is still present in many European countries and importing dogs illegally poses a risk. For dogs to be imported to the UK they have to be at least 15 weeks old, have been microchipped, vaccinated against rabies and treated for tapeworm. They must also have a pet passport or veterinary certificate. According to Jackie Robinson, Director of Animal Health and Welfare Policy at the Department of Agriculture, Environment and Rural Affairs, there has been an increase in cases of buyers being duped into getting illegally imported pups. "Where the legal requirements are not met, pets will either go into quarantine for a period of up to four months at the owner's expense, or be sent back to the country they have travelled from, or the dog may be destroyed," she said. She said this was necessary to keep Northern Ireland free of diseases such as rabies or Alveolar Echinoccus - a severe disease of humans caused by tapeworm.